Arris Water works with Hydroscape to supply domestic Fuji Clean for on-site and decentralised wastewater treatment applications. These systems are suitable for single lots, small mining camps, clusters of houses, and amenities and office blocks. 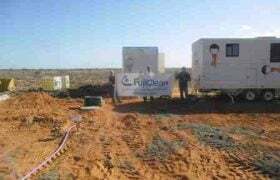 Arris Water has a working relationship with Fuji Clean and True Water Australia for the supply of commercial sized Fuji Clean units. 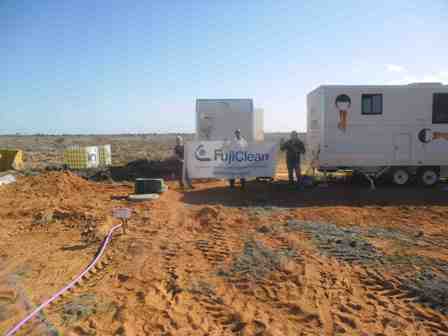 Fuji Clean systems are suitable for the treatment and reuse of wastewater from mining camps and re-locatable construction facilities. Arris Water and Hydroscape can design, obtain regulatory approval, install, operate and maintain the systems. Designed and developed over 50 years, the Fuji Clean series of products are some of the most advanced, environmentally sustainable and robust in their class. With tens of thousands of small systems and over 2,000 mid-sized systems being installed in Japan every year, the Fuji Clean technology has an enviable reputation for quality and reliability. Fuji Clean Systems also have the capability for advanced phosphorus removal. 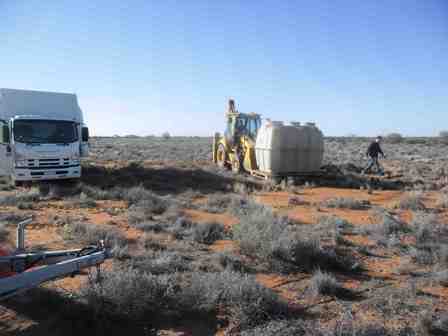 The advanced phosphorus removal is a capability that very few systems in Australia can provide. The Fuji systems are backed by a company that installs over 40,000 systems domestically and many thousands of small commercial systems annually, with a research team of over 30 full time scientists and engineers continuously improving their technology. In addition, Arris Water and Hydroscape are able to design and install the dispersal systems required to reuse the treated water in compliance with regulatory requirements. Other recycled water uses such as dust-suppression are also available.